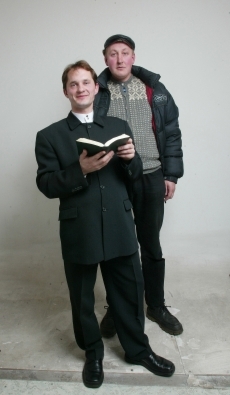 The main characters Erik and Daniel are out on the streets of Riga proselytizing Gospel and their understanding of the modern Christian lifestyle. Although friends they assume radically different idealist and materialist views, They get their sense of mission from the Bible - their manual in the uncommon city environment. The film is a grotesque and simultaneouslt real story about people who are trying to combine fanatic faith with desires and the demands of everyday survival.